Want to banish a bad mood? Bring home some blossoms. Don’t wait until your sweetheart appears with a bouquet of blooms to give your home some floral flair. 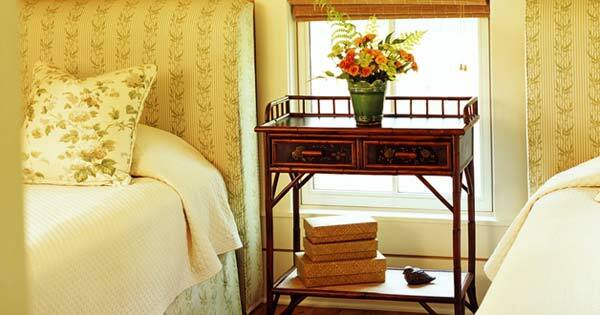 The health benefits of adorning your abode with flowers are worth splurging on the blossoms for yourself. Science proves it. A behavioral research study conducted by Nancy Etcoff, Ph.D., of Massachusetts General Hospital and Harvard Medical School (Boston), reveals that people feel more compassionate toward others, have less worry and anxiety, and feel less depressed when fresh-cut flowers are present in the home. Study participants who lived with fresh-cut flowers for less than a week felt an increase in feelings of compassion and kindness for others. Having flowers at home can have a positive carryover impact on your mood at work, too. The study found that people were more likely to feel happier and have more enthusiasm and energy at work when flowers were in their home living environments. For more on the positive benefits of flowers to your emotional and mental health, read this article by InLieuOfFlowers.info. « Is Your Florist Selling Fresh Flowers? If you are interested in more on the topic of how fresh flowers affect us in ways most people don’t understand, visit the Society of American Florists’ (SAF’s) website and read about research on flowers’ effect on seniors and flowers’ effect on those in the workplace, among other topics. 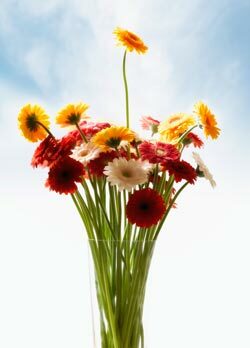 You can visit SAF’s consumer website at: http://www.aboutflowers.com. I love flowers!! Glad to see they have such a positive, wave-like effect!! Great article! The bonus? Your husband probably already knew that bringing you flowers would make you happy–but now he can be assured that the mood will LAST! Maybe we should suggest that the Rutgers researchers do an additional study on flowers in the bedroom? We could replace that other happy pill! In the weather time, I have always brought myself fresh flowers just to make myself feel good. Now I know why. My friends would always comment, “Oh I see your husband brought you flowers.” When I would tell them no I just brought them for myself, I would get a funny look from them. I’m going to forward your article to my friends. Maybe they’ll start buying themselves flowers. Thanks, I enjoyed your article. Rose: I can totally relate! I’ve bought myself flowers for the same reason–I just enjoyed having them around (even before I knew of the research). And most people assumed that someone gave them to me. But I think more people are beginning to appreciate the value of flowers and are considering them less of a luxury and more of a item they just need to regularly purchase, like milk and bread. They are becoming a staple. Let’s hope that trend continues so everyone can enjoy the benefits! Fabulous blog. Just posted on my facebook page. Works really well with my September challenge of buying flowers for home every week for $10 or less. Of course I get the benefit of having flowers in my house for the month, they definitely make you happier! Taryn: Love your Facebook page! Fabulous! So few people recognize the power of flowers! Great to hear someone else shares the passion!